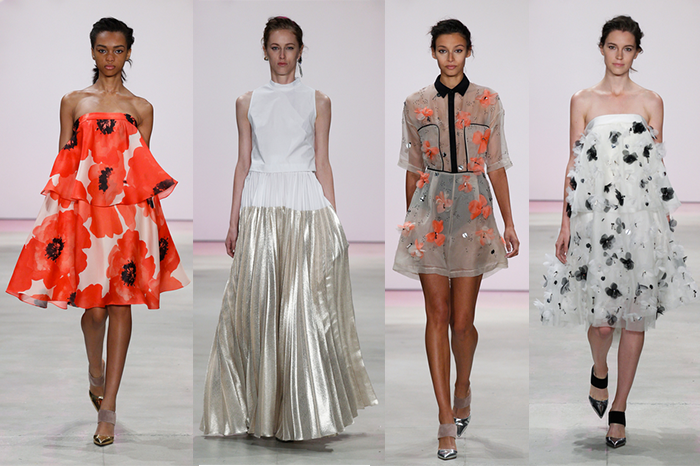 If there’s one collection this season that stole the show (pardon the pun), it was Zimmermann. I’m already a major sucker for their feminine, flirty pieces, but the high Victorian necklines and billowing sleeves on each number have put them in my most wanted list for spring/summer. I mean, I could barely even narrow them down to four to put into this post! Is it crazy to say I want every piece from the collection? Maybe I won’t get all of them, but I will absolutely be buying at least one of these dresses. So gorgeous! Shop Zimmermann’s newest fall arrivals here – loving this blouse! Leave it to Tibi to craft the most effortless. relaxed essentials in luxurious, shimmering fabrics. The epitome of cool girl gone glam. I love how Amy Smilovic incorporated rich colors like the burgundy above – those pieces will be incredible for transitioning from winter to spring! 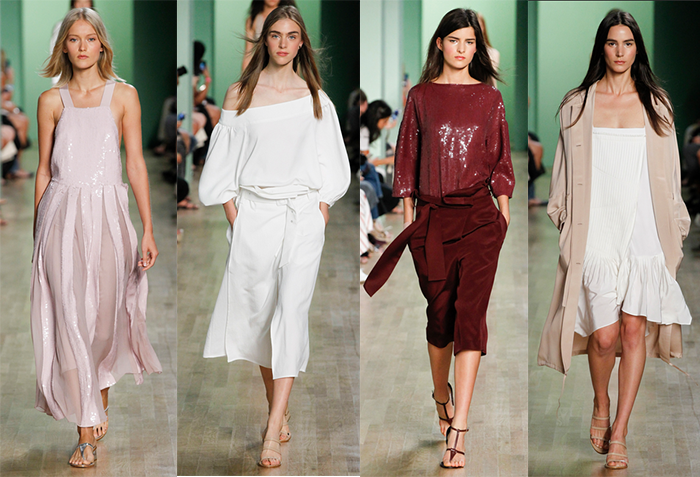 Also loving all the discreet, simple sandals in this collection. 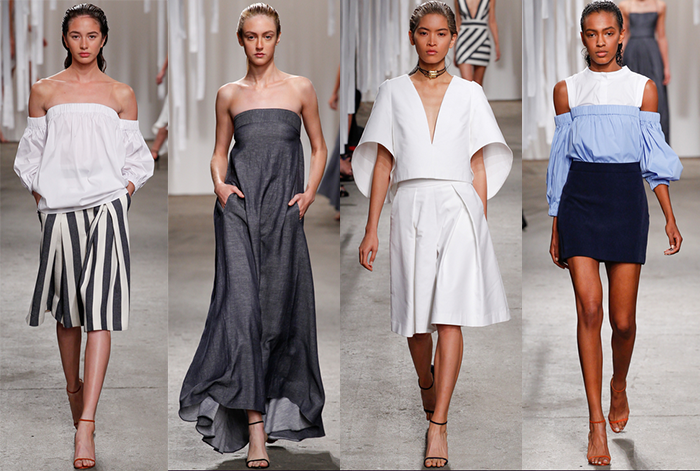 Shop Tibi Fall/Winter ’15 here. And on Wednesdays we wear pink. That was certainly the motto this season at Carolina Herrera! And can you blame her? The sweet cotton-candy hues in what can only be described as candy floss fabrics have my girly side screaming! Again, it was very hard to narrow down my favorite pink pieces from this collection, but here’s a diverse selection… Shop some gorgeous fall pieces here! 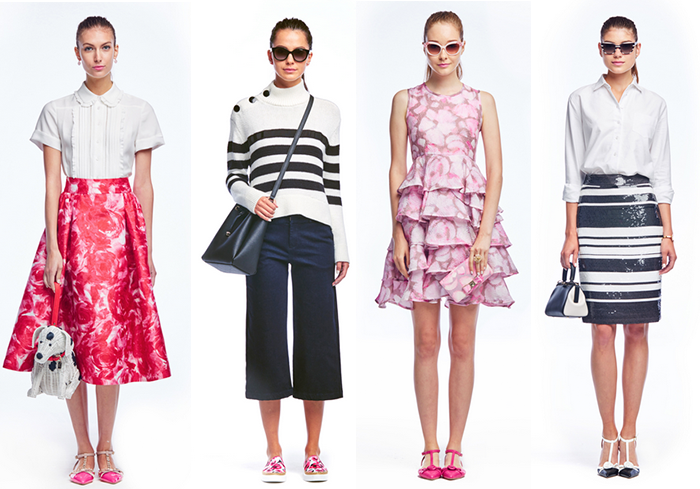 From chic Parisian stripes to bouncy, party florals, Kate Spade‘s spring/summer collection is a roundup for the polished girly-girl. I particularly love that striped sequin pencil skirt and the floral midi! Statement skirts are all the rage, I suppose? Count me in. The shoes are to die for too! Shop new season favorites here. Lela Rose always satisfies my fashion cravings. Her use of volume, metallics and inventive incorporation of the sheer trend this coming season just make me want to party, and in a big way. Can we just talk about that red floral flounce dress for a moment? The punchy pop of color and playful silhouette are just begging to be taken out dancing. Shop some of Lela’s most memorable fall/winter ensembles here. Easy summer separates were key to Milly’s Spring/Summer ’16 collection. I’m totally cool with the continuation of the off-the-shoulder trend, and love how it has evolved – instead of straight across off-the-shoulder looks from this summer, next season we’re seeing more subtle peeks of the shoulder and uneven necklines. Also, that strapless denim maxi has my name on it. Shop all of Milly’s new fall arrivals here! We all know how much I love neutrals, but it’s so refreshing to see brilliant pops of color for spring and summer, don’t you think? 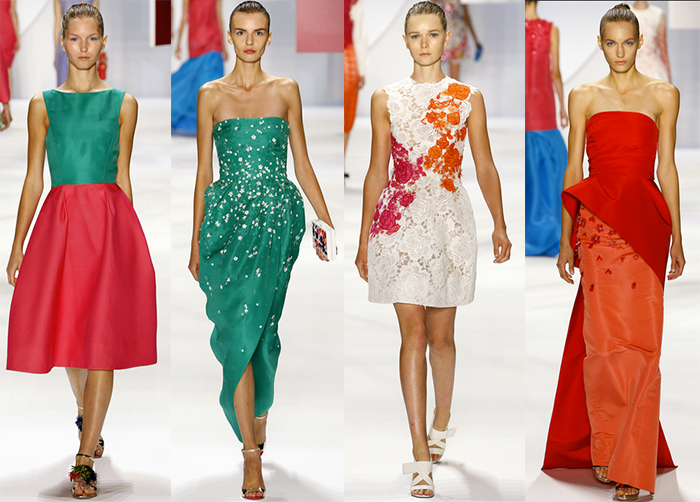 These beauties hail from the Monique Lhuillier collection. Divine. That little lace number would be such a unique option for a rehearsal dinner or bridal shower for the stylish bride, am I right? I adore the romantic, old-world glamour vibes in her strapless dress silhouettes too. Just stunning! Shop new arrivals here. 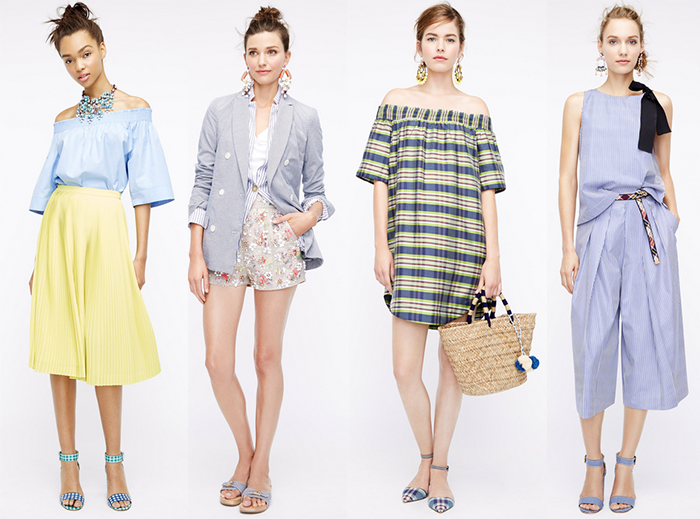 Head-to-toe seersucker, creative spring layering, and surprising color combos rocked J.Crew‘s Spring/Summer ’16 collection. As always, you can expect lots of incredibly fun jewelry and pops of gingham – and what better way to spice up your warm weather wardrobe? No other ingredients needed. Shop the latest from J.Crew right over here. Really great round up. I still need to do the same. ok, that floral Zimmermann skirt is to die for! Swooooooooon! CH, J Crew and Zimmermann were my favorites! So gorgeous and I loved their color palettes.